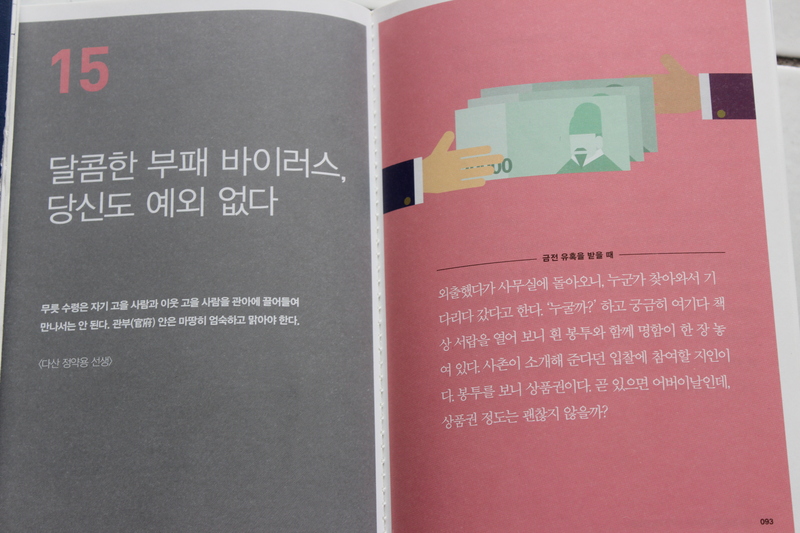 I was much impressed when Seoul City Government issued a new version of Mokmin Simsho that is updated to the ethical challenges of being a public official in this day and age. The book presents specific ethical traps and challenges, based loosely on those within the original book, but adapts them to contemporary society. The text stresses how corrupt acts often do not appear corrupt on the surface and that it is a challenge for the government official to remain pure and set forth a model for probity. Jeong Yak-yong was a towering intellectual figure of the late eighteenth century in Korea who was a rigorous scholar and deeply immersed in the challenges of effecting good government in his own age. His book Mokmin Simsho 牧民心書 (Heartfelt Notes on Leadership) is included in a collection of Jeong’s writing compiled in 1818. Mokmin Simsho was intended for government officials, especially those from rural areas who might not have had the advantages of elaborate educations in the Confucian classics. The work presents simple ethical rules for working as a public official and presents clear essays on the importance of government work. Most importantly, Mokmin Simsho gives very concrete examples of how to respond to conflicts of interest and attempts to promote corruption. This updated text is striking because it is so concrete and applied. There are many vague discussions of Confucianism and its value in China, and elsewhere, but few efforts to actually make the tradition accessible. 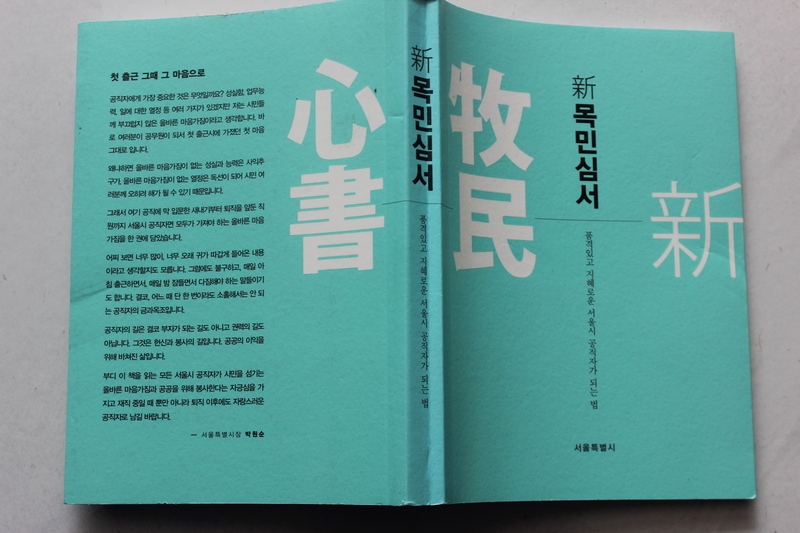 Finally, I am struck by this book because it draws attention to the root of Korean success. 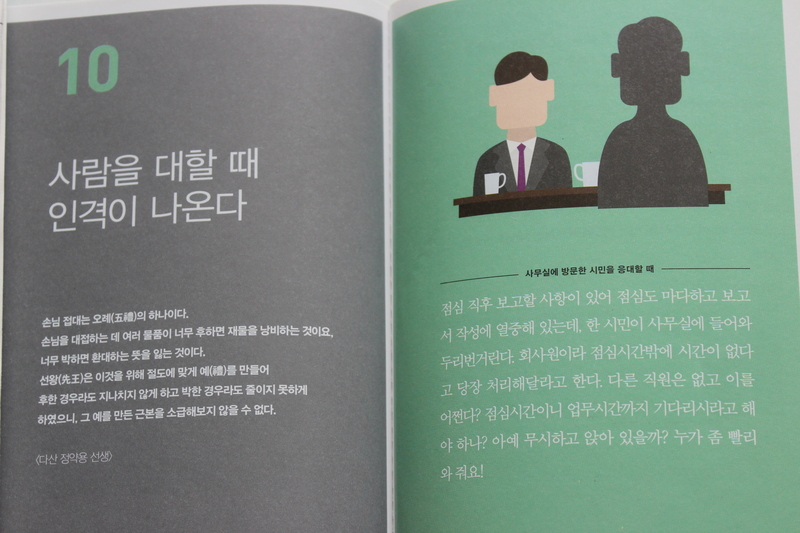 Koreans are not successful because they work hard, or because they have deep feelings, or they us chopsticks. Korean success is above all a result of the tremendous tradition of good governance from the fourteenth to eighteenth century in Korea. 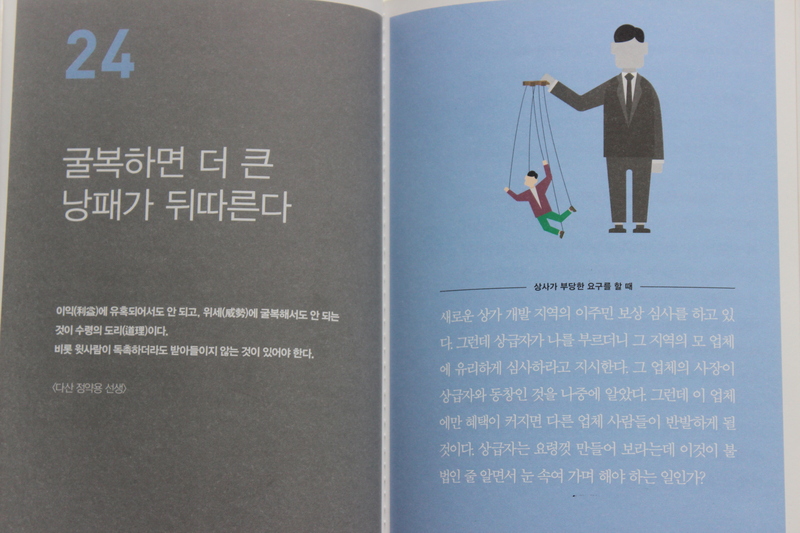 Mokmin Simsho (Essential Notes on Leadership) by Jeong Yak-yong updated by Seoul Metropolitan Government.